Break the public sector pay-cap! Fight for £10 minimum wage NOW! As NHS workers, my wife and I have been forced to accept a 1% pay-cap but the cost of living continues to soar. We have made real sacrifices to make ends meet while doing all we can to financially support our two daughters at university. We scrimp and save, looking for bargains everywhere, from food to clothes and other basic necessities. Like many others, we have not had a real family holiday in years. 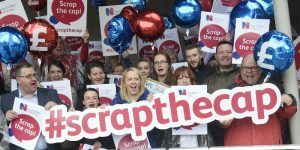 Our story is that of almost every public sector worker across Britain and Northern Ireland, who have lost real earnings of £3,000-£5,000 over the last seven years due to the pay-cap. As we furiously struggle to not drown in bills, the super-rich and grinning from ear to ear. The Sunday Times rich list in May 2017 spells it out – “their wealth soared into the stratosphere”. The ‘worth’ of the 1,000 richest individuals is a record £250 billion, 23.3% up on last year! While low-paid workers are forced to go to food banks, the prestige items sought by the super-rich are supercars costing over a $1 million, paintings over $300 million and luxury yachts ranging from $450 million to $1.2 billion. This sickening inequality is meeting growing resistance. In Britain, the Trade Union Congress (TUC) has launched a ‘Pay Up’ campaign which has resulted in a number of highly successful demonstrations and protests over the summer. 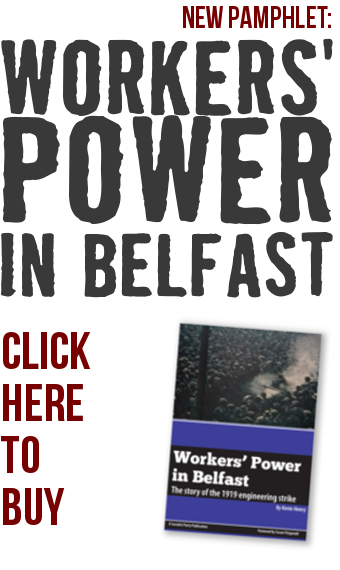 This campaign has been taken up by the Northern Ireland Committee of the Irish Congress of Trade Unions (ICTU). Unfortunately, the TUC and ICTU leaderships have limited the campaign to protests and lobbying of politicians with only hints of possibility of industrial action to break the cap. This goes against the changing mood of public sector workers who are increasingly indicating they want to fight back. 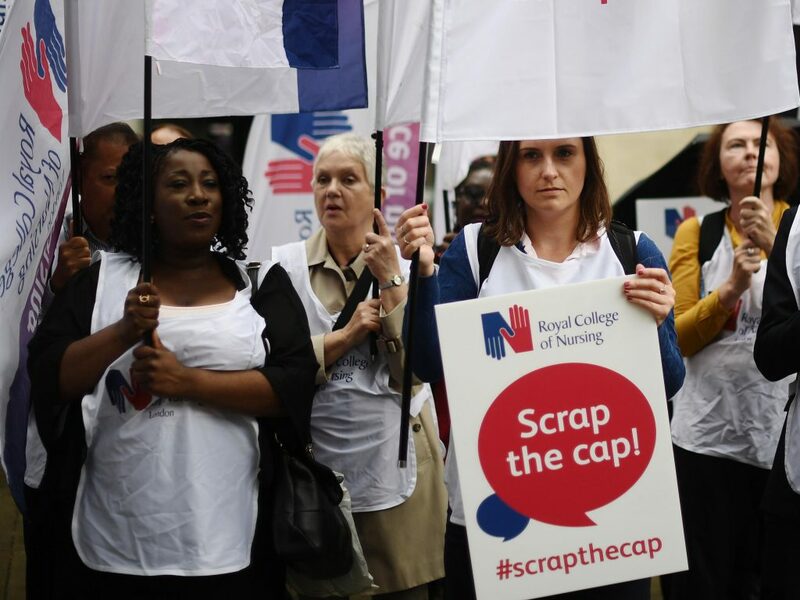 This was reflected in the 91% support for strike action against the pay-cap received in an indicative ballot by the Royal College of Nursing (RCN), a union which has never take such action before. The union has stated it will move towards a strike this autumn if there is no sign of movement from the government, as has civil service union PCS. Trade union activists should campaign for co-ordinated strike action across the public sector, outlining plans for a determined and escalating programme of action to win real pay-rises from the weak Tory government and the Stormont politicians. This would boost the morale of many workers who felt betrayed by the sell-out of previous battles by the conservative union leaderships. Low-paid workers in the private sector should be brought into this struggle in support of Jeremy Corbyn’s demand for a £10 minimum wage which would lift millions out of poverty. This could begin a movement which would have the super-rich quaking in their mansions.